Our big launch at White City in October. As you may have noticed, we recently opened, not one but two brand new restaurants! Both of them facing West this time. One of them is located in the centre of White City Place, a creative campus now as a thriving space, purpose-built for the exchange of ideas, surrounded by many famous TV studios that host programs like BBC's Top Gear and ITV's Good Morning Britain. It's served by the many shops, restaurants and museums of West London. Up until then we were only based on East and Southeast London! 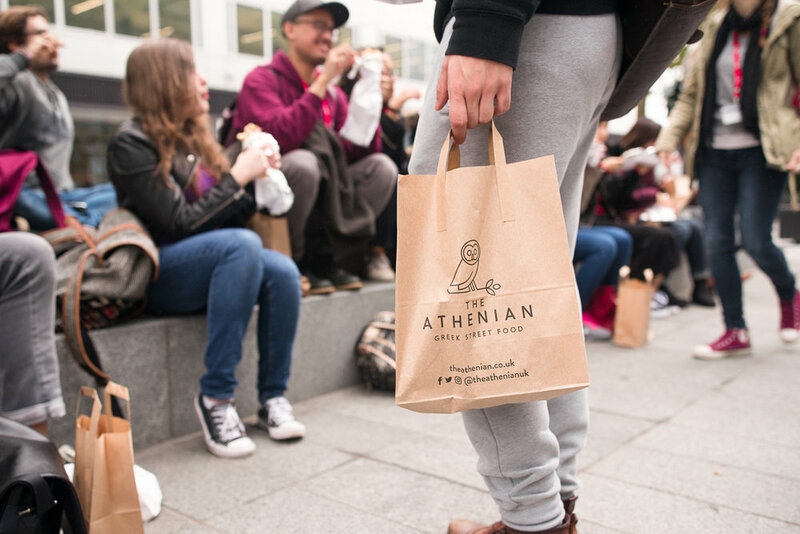 We had been aiming for a central location, somewhere that our Athenian Souvlaki would be accessible to many people easily. Naturally, an area like Victoria/Belgravia would be our go to choice. Due to it's central location and thanks to Belgravia's long-term plan of refurbishing the area featuring many places that appeal to a broader demographic, we felt that it was just the right place for us. The moment we went to see the venue that we eventually took over on Elizabeth Street, we could already see our Little Owl on the shop front! Elizabeth street is known for some of the best bakeries and patisseries in town like Domique Ansel Bakery (creator of the original Cronut), Peggy and Porschen and Baker & Spice and Victoria Coach Station. Our restaurant in White City Place, is our first big restaurant, and when we say big, we mean big! It's the perfect setting for a laid back lunch or dinner, and as of recently delicious Athenian breakfast! 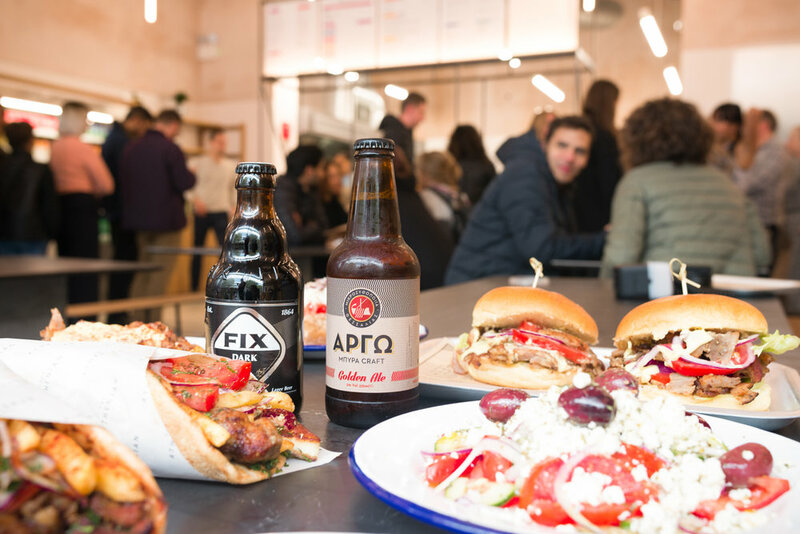 On the other hand our restaurant in Victoria is smaller, cosy and the perfect place to find a warm, comforting shelter during a cold winter's day but at the same time bright and uplifting to enjoy a sunny summer day accompanied with one of our Greek Craft Beers and an Athenian souvlaki! A bigger space for us meant only one thing! We were finally able to offer a variety of dishes, including our brand new intriguing Gyros Burger, Courgette Fritters, Tomato Croquettes, breakfast muffin with Wild-Boar Sausage, desserts and a wider selection of wine and beers. We look forward to seeing you at one of our locations soon!